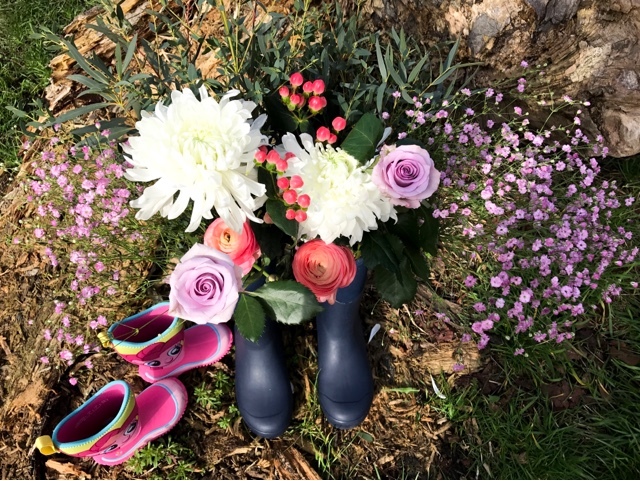 With the weather currently in limbo and the ground soft, finding the right footwear can be somewhat problematic, but when Muck Boot Company got in touch to try a pair of wellies, I could not resist. I knew the perfect stomping ground to test drive these Wellington boots, a day out in the woods. I was sent the Mid-Height Tremont Wellington boots and I have to say they are incredibly comfortable and very warm as well as being easy to wear all day, a bit of a shame when I get home to take them off my cosy toes, thanks to the fleece lining. The Tremont boot have a thick sole which are perfect for exploring rocky hills and they are also slip resistant and an added bonus they go just with just about anything. Leanora was sent the Hales Kids Outdoor boots, she loves them so much she even tried to wear hers to bed! 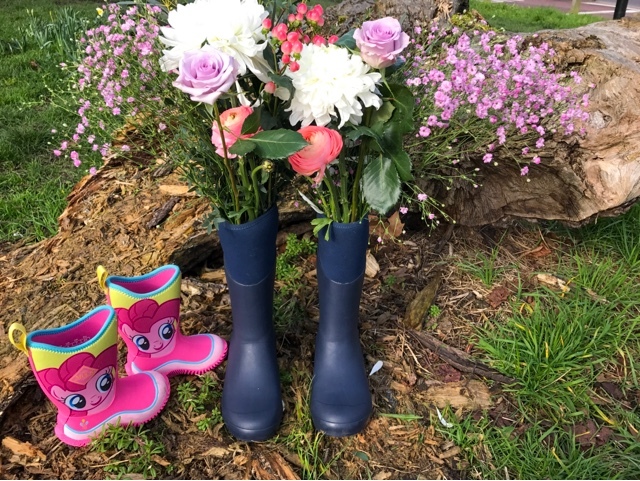 The Hale boots come in a variety of cartoon designs from My Little Pony to Transformers to suit both boys and girls and are brilliant for stomping around, they are also easy for kids to slip on and suitable for most weather conditions as well as having foam inside so makes it more flexible for our little monkeys to run around. Overall a great family Wellington boot, they have a range for Dads or Men in our life too. Plus as well as the Hale cartoon collection being new for the little ones they have teamed up with the Royal Horticultural Society in time for Spring to bring out a limited addition collection in the Tremont boot or the Muckster II collection. Do you have a pair of Muck Boots to stomp around, how do you find them? Don't forget to stomp on over to Instagram to follow us. We wear our wellies all the time, these look great with the fleece lining! Comfy wellies are so hard to come by! I need some wellies. The kids have wellies but I don't. I used to love wearing my wellies. But unfortunelty I don't have them anymore! So I definitely need to get some. These wellies are so cute!